Our team at SERVPRO of Santa Maria confronts mold where it shouldn't be. Mold doesn’t belong in a home and it doesn’t belong in a commercial property. For this reason our Santa Maria restoration team addresses mold with precision and skill and the right tools. We first address the source of moisture or water. If we don't address the source, the problem will come back. Once we're able to identify the source of the problem we're then able to work to remediate and then ultimately restore the problem area. Our technicians are IICRC certified and have the right skills and training to make sure we successfully address your issue the first time. We serve residential and commercial properties throughout the greater Santa Maria areas. We live and work in this community too; we might even be neighbors. 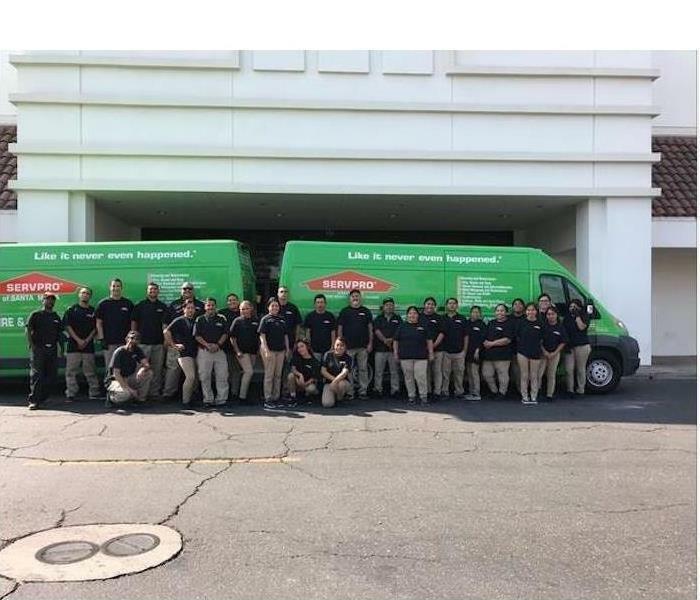 As a locally owned and operated business, SERVPRO of Santa Maria is close by and ready to help with your mold-damaged property.